Weekend with potential FOSS contributers. 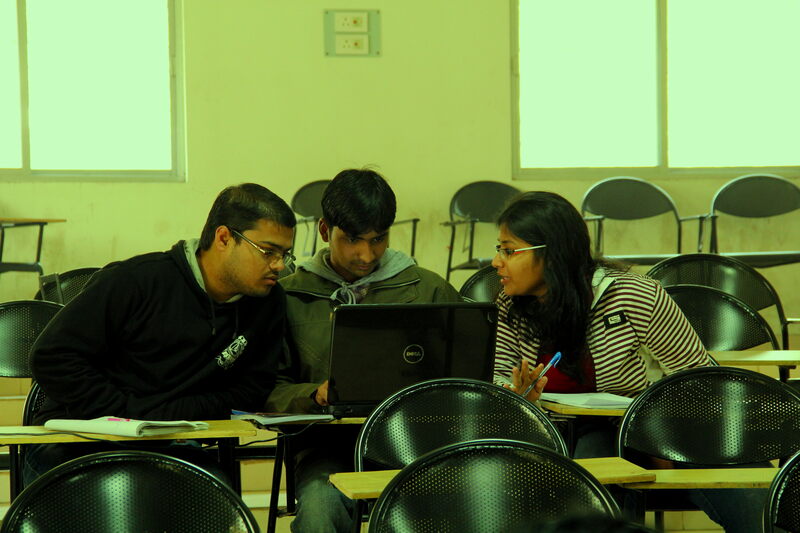 GNU/Linux Users’ Group, NIT Durgapur has in a large way contributed towards the creation of an awareness of Free and Open Source Software in the college. Through yearlong activities comprising of talks, tutorials, workshops, installation fests and an annual FOSS festival, which we call “Mukti”(meaning freedom), we have been able to create and sustain a (mostly) FOSS friendly environment in our college. 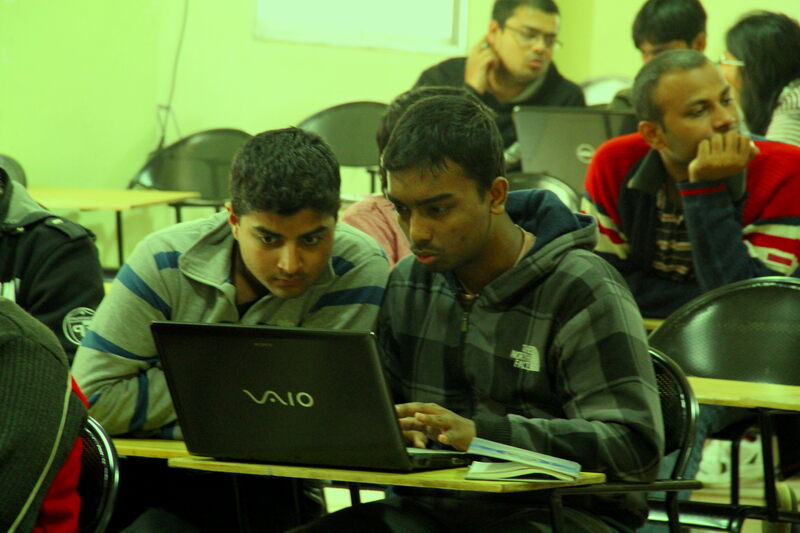 However, the amount of contributions from students of our college to FOSS has not been a lot. 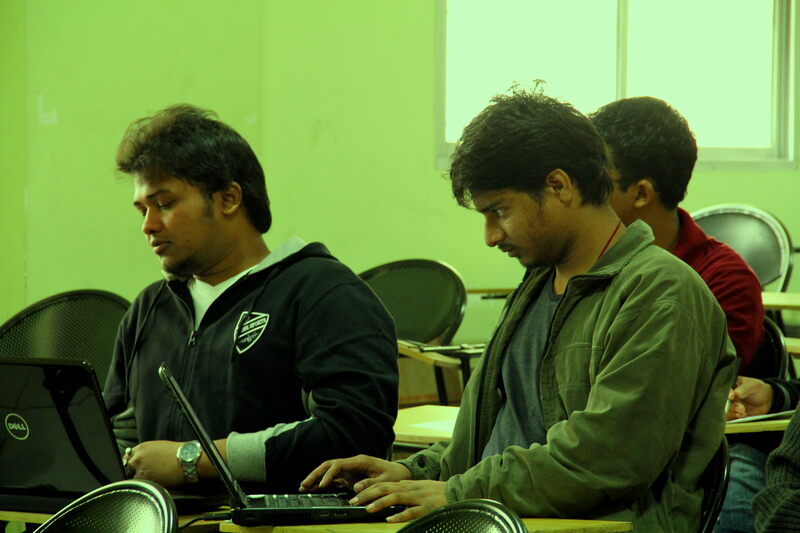 To correct this, GLUG, NIT Durgapur held a series of talks over the weekend on how to start contributing to FOSS. Day 1(Saturday): Before Lunch(9 am to 11:45 pm): The day started with Tirtha Chatterjee providing a brief history of FOSS and the philosophy associated behind it. Briefly he talked about what a kernel meant, the idea behind the term GNU/Linux, distributions(or distros) and desktop environments. He got tired from all the talking and it was time for me to introduce the very important concept of licensing. 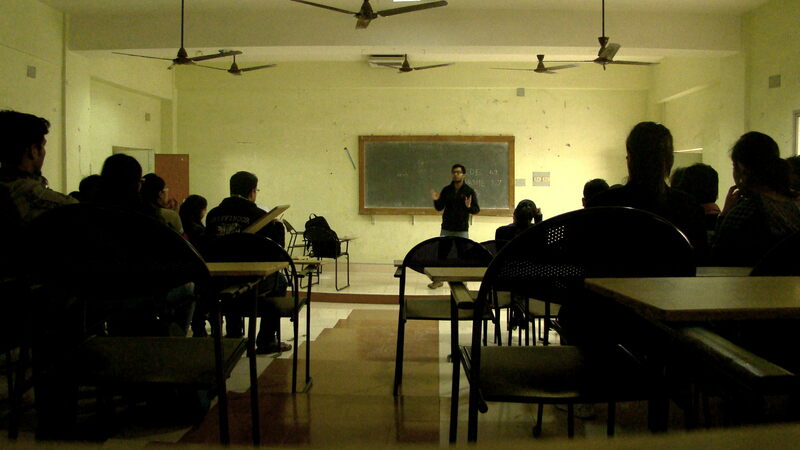 So an introduction to various licenses like GPL, LGPL and Creative Commons was given. Some concepts of programming like compiling, linkng and libraries like Qt and Gtk were then introduced until it was time for lunch. Unfortunately no pictures were taken for this half. After Lunch (2 pm to 4 pm): “Contributing to FOSS and Google Summer of Code” – This was the topic of discussion in the second half. Tirtha got busy with some work and thus was unavailable. I talked about how to start contributing to FOSS, finding and fixing bugs, contacting developers, obtaining and building source code. 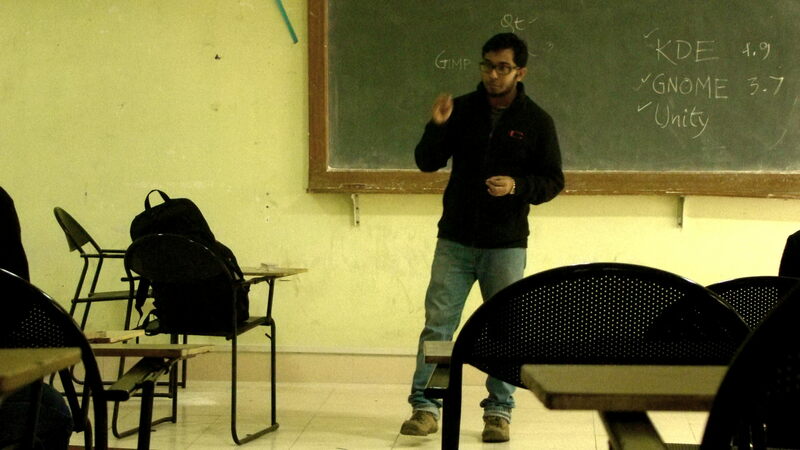 I gave them a brief overview of Git and CMake. Then I talked about the Google Summer of Code program and how one can start contributing to free software through programs like this. How to apply, how to get ideas, how the slots are distributed to various organisations, what are slots, how to get mentors, how to write strong proposals and when do we start? All such questions were addressed. Arnab was there to take some pictures when I was blabbering away. 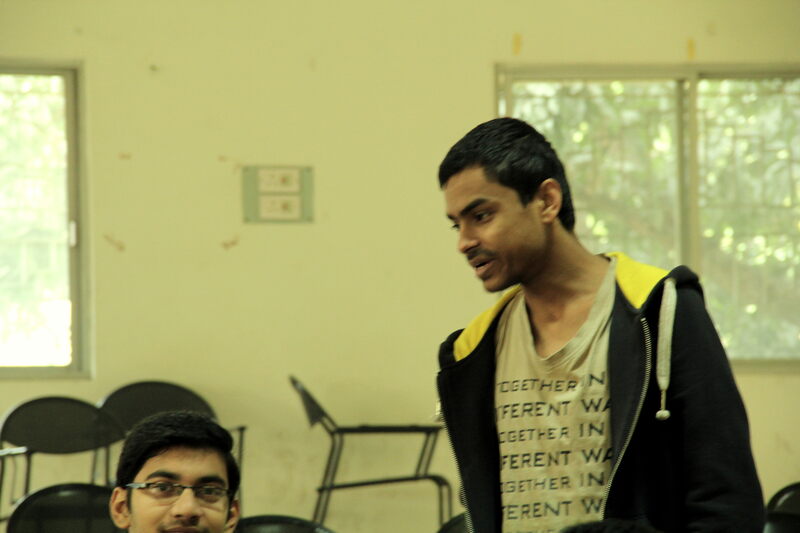 Day 2(Sunday):(11:00 am to 1:00 pm): The discussion on FOSS contributions and GSoC continued from the previous day to Sunday morning with I and Tirtha sharing our own experiences. The importance of communication with the community members was stressed on. Concepts such as IRC and mailing lists were introduced. 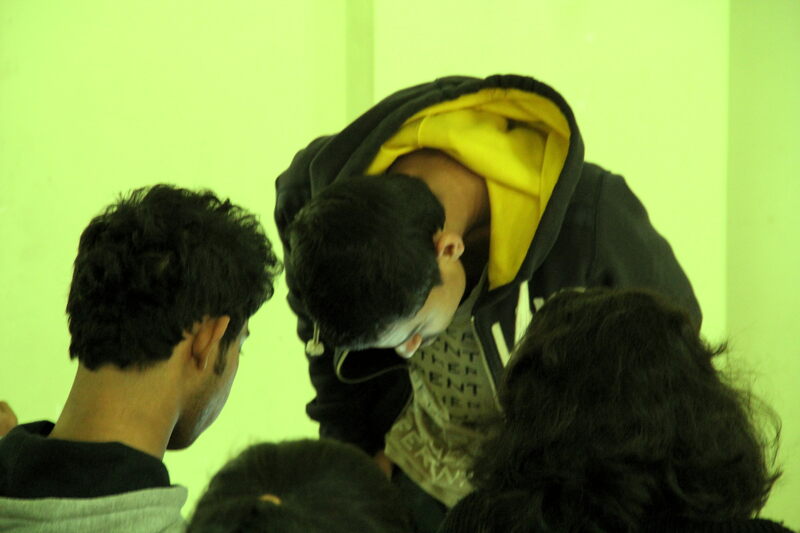 Those present in the session were encouraged to search up bugs on the internet and look at past GSoC project ideas.